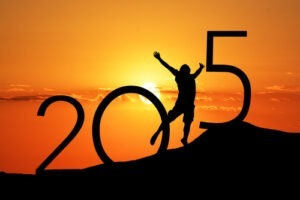 As 2015 races towards its half way mark, it is important to take stock of your career resolutions. Regardless of whether you made January resolutions or not, it is never too late to develop some resolutions to help you stay focused when it comes to your career. Working or not, these are four career resolutions you should adopt for 2015. 1) Update your resume (employed or not). For job seekers, an updated resume is the easiest and best to start looking for jobs. For those who are currently employed, updating your resume is a great way of adding on your achievements as they happen. Your achievements can be difficult to remember after a few months or years ago so it is best to update as it happens. This obviously applies to your LinkedIn profile as well. 2) Track your success. Although related to the first point, tracking your success refers more to everyday achievements at work. When you track your success on a daily or weekly basis, it gives you a sense of accomplishment on a regular basis keeping you motivated to achieve more. It also makes it easier to approach your managers for raises or bonuses as you have your success tracked and may be able to remind the bosses everything you have achieved for them and the team. 3) Write down your goals. Goals can be both short term and long term and they need to be written down. By writing down your goals, it forces you to think about what it is that you are hoping to achieve and where you would like to be ideally. Rather than picking vague ideas it is important to be specific in what you want to achieve and by when. Once they are written down, it is an easy reminder of what you are working towards and will keep you motivated for the difficult days. Make sure you also include a detailed plan on what you need to do to achieve those goals, writing them down alone will not be enough. 4) Stay positive and be confident. By constantly looking at the past and everything you have not achieved so far, you are setting yourself up to not see any changes in the future. However, by recognizing that all mistakes are lessons and building plans to start achieving your goals, you will be motivated to stick to your plan no matter the obstacles. Author bio: This article has been written by Bertha a Marketing Expert at WebNet – Website Development Company. She has more than 3 years of experience in marketing sector. She likes to write on topics which can help young grads to look for jobs easily.